Video is taking over corporate communications. Instead of circulating internal memos by email or paper, we see managers and executives delivering addresses by video. Not only do companies send out written press releases, they also send video briefings and demonstrations. And videoconferencing is emerging as a cheaper, more convenient alternative to flying halfway around the world for a meeting. 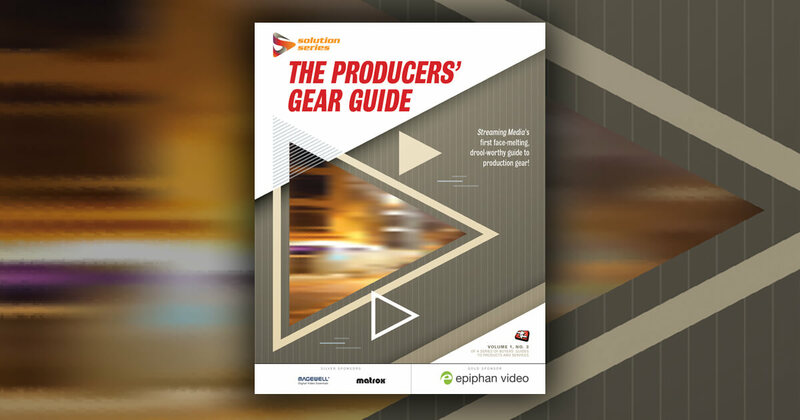 While the average cubicle dwellers have surely noticed the proliferation of enterprise-level video, they'd more than likely shrug their shoulders if you asked them how that video was managed and broadcast. The proverbial man behind the curtain, the digital asset management (DAM) system, is becoming an increasingly important part of the corporate communications landscape. For online video at the personal level, uploading to YouTube or another free online streaming site might work-it is, after all, quick, easy, and cheap. But enterprise streaming video is a different story altogether. The costs of hosting, managing, and transmitting video on the enterprise level can be enormous, particularly in a company with many offices spread over a large geographical area. There are concerns over security, bandwidth, quality, and accessibility. What if a company wants to stream content live? What if a company wants to track viewership in detail? These considerations require enterprise-level streaming video project leaders to look elsewhere for help—they are looking at DAM. One use for video within the company is training. Rather than using video for purely informational purposes, online applications can replace training videos or DVDs, or, sometimes, live training sessions. Jason Deadrich, president of Fordela Corp., a San Francisco-based online video platform provider, says the company got underway with the idea that it would mostly be creating online training videos. Within a few years, that model had evolved into something quite different. After starting life as a hosting site for job training videos, Fordela had become a full-fledged corporate communications provider. "As we had more and more ... meetings, customers would come up with more and more ideas," Deadrich says. "We'd say, ‘Oh, how about doing this with video or that with video?' We kind of have a running joke here whenever we have a meeting- someone will come up with some different use of video in their world." One of the major draws of online video and videoconferencing on a corporate level is that it allows for visual contact with an audience that could be hundreds (or thousands) of miles away without having to spend time, money, and resources on travel. On the other hand, emails or corporate memos can be seen as impersonal and can be easily ignored. The middle ground is conducting those meetings or sending those memoranda by video. Brian Jensen, managing director of global corporate communications at Cushman & Wakefield, sees video as the next best thing to in-person communication. "It's not like email, when it doesn't have emotion," Jensen says. "It's not like word of mouth, where you might hear it thirdhand and get the message wrong. It's clear and concise." "If I send you a PowerPoint slide deck with a voice over, I don't think the message is as powerful as if I send you a video," says Jim Janicki, president and CEO of Ignite Technologies.